4. 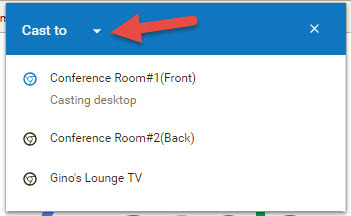 Select the 3 small dots in upper right corner of Chrome browser and select "Cast"
7. Select the TV you want to mirror your PC to and BOOM, your desktop should appear on the TV.